No matter the property you are looking to buy: a vacation home, retirement retreat, luxury oceanfront estate or a beachfront condo, owning real estate in Costa Rica is easier and more affordable than you think. A great selection of properties is available if you know where to look and you have the right information. With its combination of warm weather, friendly people, beautiful Pacific beaches, and a safe, stable government its no wonder that Costa Rica is one of the most sought after destinations for living, retiring and vacationing in Central America and the world. 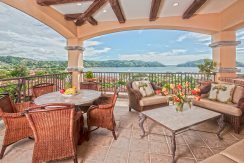 From second homes and vacation villas to primary residences, condos and ocean view homesites overlooking the stunning beaches of Costa Rica, we represent some of the finest properties on the Pacific Coast. And, if we don’t have what you are looking for, our wide Broker network allows us to find he perfect home for you. Experienced, knowledgeable and always here for you, we are a professional real estate agency who will guide you through every step of the buying, selling, or rental process. Palms International has offices and agents serving Hacienda Pinilla and Tamarindo in Guanacaste. 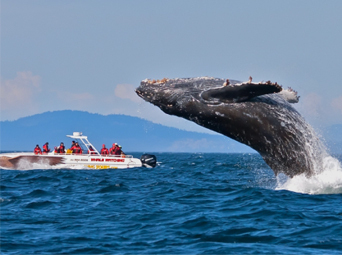 Further south we serve Los Suenos and Jaco Beach on the Central Coast. Our broker partners expand all the way down the Southern Zone to Dominical and Uvita, Manuel Antonio and Quepos offering you the widest and best selection of properties for sale in Costa Rica and covering the entire Pacific Coast. On our website you will find a wide selection of real estate listings and the information you need to make the right buying choice. 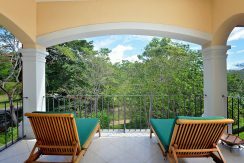 And our exclusive Palms Rental Collection features a large variety of vacation rentals, including Costa Rica beach rentals both short term and long term in Hacienda Pinilla and Tamarindo, Jaco Beach, Los Sueños and more. 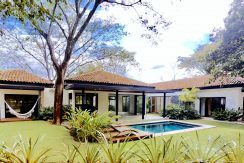 In the links on this page and throughout our website you will find useful information on everything that makes Costa Rica real estate so desirable. 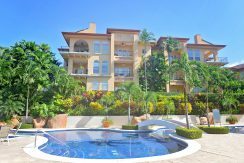 For more detailed information on any of our listings, please feel free to contact us with your questions about buying in Costa Rica or booking a vacation rental with our professional services. Palms International represents only the best properties in Costa Rica, with listings in the exclusive Hacienda Pinilla community near Tamarindo and the luxurious Los Suenos Resort & Marina near the surf town of Jaco Beach. We will help you navigate the villas, estates and oceanfront homes for sale along the coast from Papagayo down through the Nicoya Peninsula to Jaco and the Central Pacific, dipping south into Manuel Antonio, Quepos, Dominical, Uvita and the stunning Osa Peninsula. 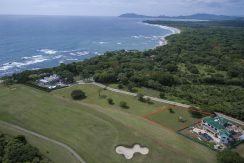 Our real estate listings in Guanacaste offerings include some of the most prestigious gated communities like the Hacienda Pinilla Beach & Golf Resort – home to exquisite beachfront luxury homes and the best custom home sites in all of Central America. 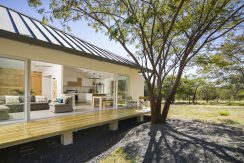 The increasingly popular Guanacaste region is where you will find luxury estates, world-class resorts and five-star communities such as Peninsula Papagayo, Playa Flamingo, Las Catalinas, Crystal Sands and Reserva Conchal. that are conveniently located close to Liberia Airport. 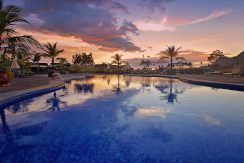 These resort communities offer some of the best Costa Rica beachfront properties surrounded by spectacular landscapes, beautiful coastline, tropical dry forests, and golf courses with a view. Palms International Realty is also your local expert on fractional ownership in Costa Rica and luxury private residence clubs, now the fastest growing trend worldwide in second-home ownership. 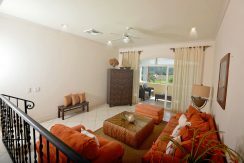 We’re here to help you find the Costa Rica vacation home or luxury rental that’s meant especially for you. 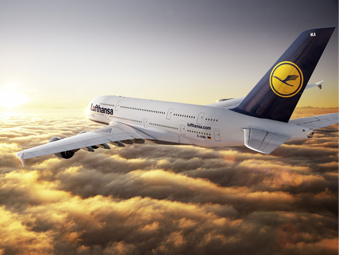 Take a long walk on a sun-splashed beach, or simply stretch out along the golden sands. Spend the afternoon communing with your board and the surf, or head into deep water for a little world-class sport fishing. 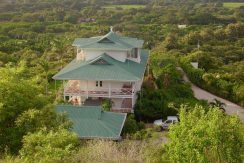 Retire to oceanfront luxury real estate, where you can fall asleep to the sound of crashing waves, or spend your days at an ocean view Costa Rica vacation home perched in the hills, where sea breezes blow and the vistas extend for miles. Whether you opt to use your property in Costa Rica as a luxury vacation home or an estate for full-time living, here you’ll experience Pura Vida. Spanish for pure life, Pura Vida is a carefree lifestyle characterized by beautiful landscapes, spectacular ocean views, friendly neighbors, and an obtainable, affordable lifestyle for North Americans and Europeans. Costa Rica’s peaceful lifestyle, amazing weather, beautiful beaches, national parks, pristine rainforests and world-class healthcare system make this idyllic nation one of Latin America’s hottest choices for the perfect vacation or retirement destination. The hardest part: sifting through an array of properties to find the perfect one for you. If you’re considering investing in property in Costa Rica, you’ll find a friendly environment for both large and small investors, as well as real estate developers. In fact, NBC and Luxury Living International Magazine have dubbed Costa Rica real estate some of the hottest on the planet for investment. 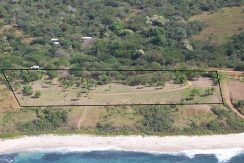 Palms International represents some of the finest development properties and beachfront land for sale in Costa Rica. Whether you are looking to build a world-class beachfront resort in Guanacaste or operate a boutique hotel, we have a variety of commercial real estate opportunities to meet any investment need. At Palms International, we do things a little differently. We understand that your idea of “home” – your perfect property – is more than a listings’ combined physical characteristics. Your luxury home, retirement property, vacation rental or second home at the beach is a reflection of who you are, of what you dream, and of how you view paradise. 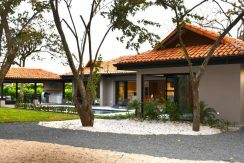 Once we understand what “home” and good living mean to you, we will help find you the best choice of properties for sale in Costa Rica – the real estate that is right for you. Costa Rica’s beaches, rainforests, wildlife, and endless outdoor adventures make this an incomparable paradise for a vacation or relocating. Once you discover the wonders (and deals!) in Costa Rica, there will be no question why the this is one of the best places in the world to own a vacation home or live out your retirement dreams. 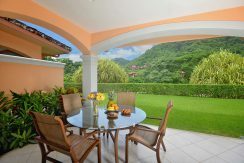 With such a wide variety of properties for sale and for rent there are many options for U.S, Canadian and European retirees, as well as those from other parts of the globe seeking a dream vacation home for their family. So whether you’re looking for a luxury beachfront home or seeking the perfect property for a leisurely retirement, we’ll find your perfect fit. Oceanfront or ocean view, luxury community or standalone estate, high-rise condo or cozy beach bungalow, we’ll leverage all of our knowledge to your advantage. Come on down and pave the way to your very own version of Pura Vida with Palms International Realty’s selection of Costa Rica real estate and vacation rentals. Learn more about our team of real estate professionals and contact us to start your search for the perfect property or rental today. 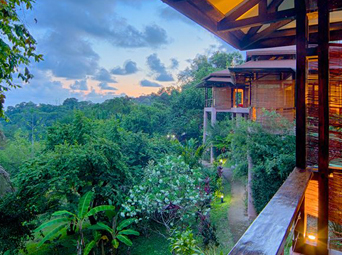 Fill out our contact form to start your search for the perfect home in Costa Rica.